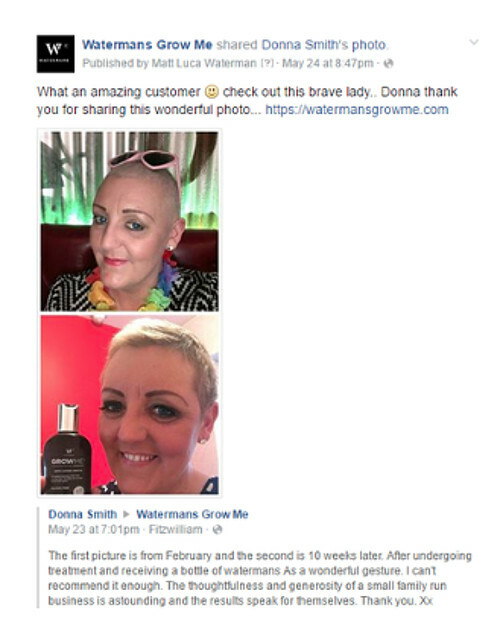 Watermans Hair, a UK based hair and shampoo company focusing on hair-growth www.watermanshair.com there are many reasons for hair loss Watermans Hair products combat many conditions. Its actually an Amazon Best Seller. 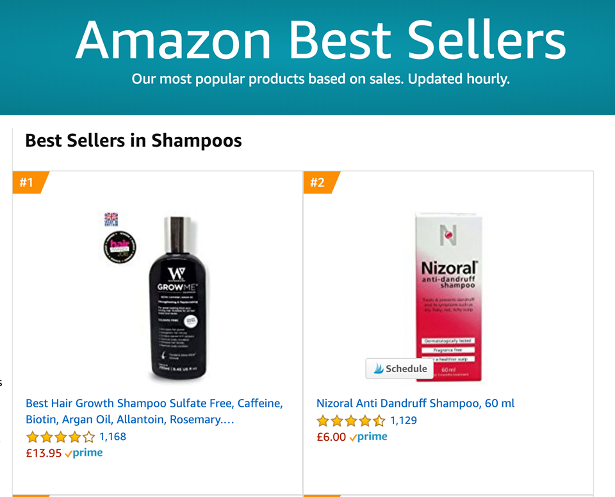 Watermans Hair, a UK based hair and shampoo company focusing on hair-growth www.watermanshair.com there are many reasons for hair loss Watermans Hair products combat many conditions. 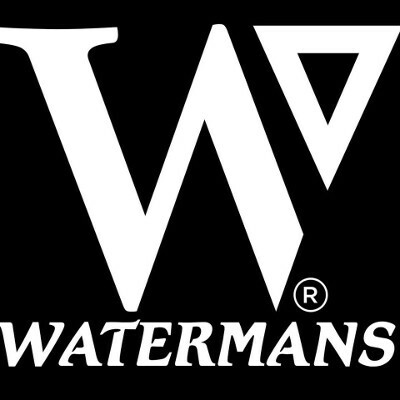 Watermans hair was founded by Matt Waterman and wife Gail Waterman. 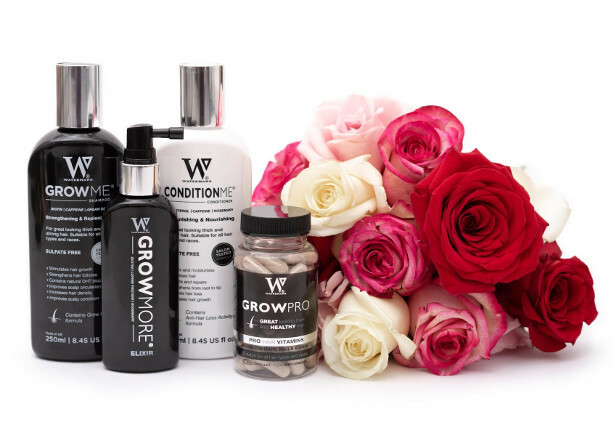 A UK based hair and shampoo company focusing on hair-growth. 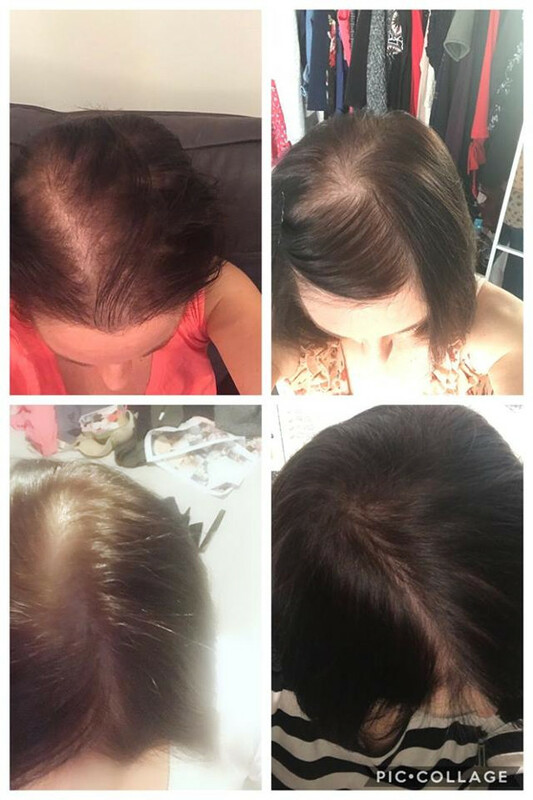 Based in Yorkshire, the idea developed after they both suffered different variations of hair loss and couldn’t find any products on the market, they decided to find the solution to their hair problems themselves. With Gail’s mixed-race heritage causing fine, weak hairlines and Matt’s testosterone levels causing male pattern baldness, both where struggling to find a product that could help them both. 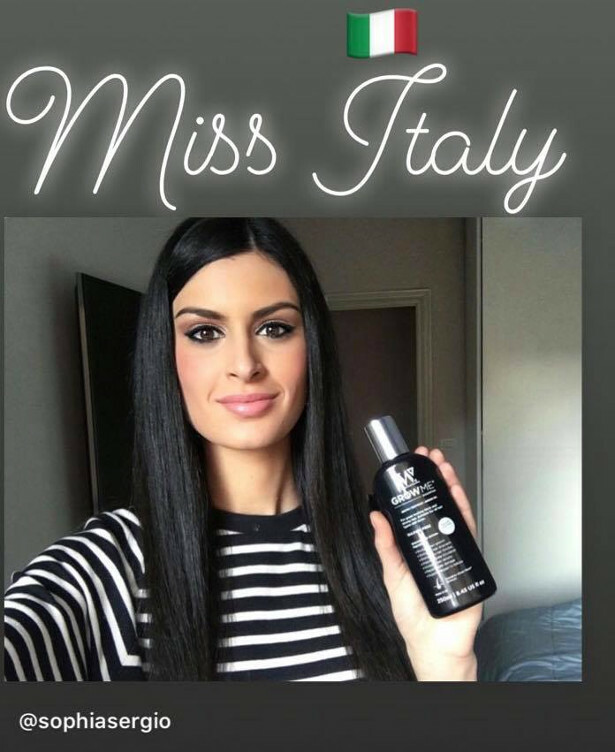 Gail and Matt have a background in the hair industry for over 26 years, so they knew what they wanted to achieve when producing this product. They created their own formula that took two years to develop which was tested on Gail’s salon customers. 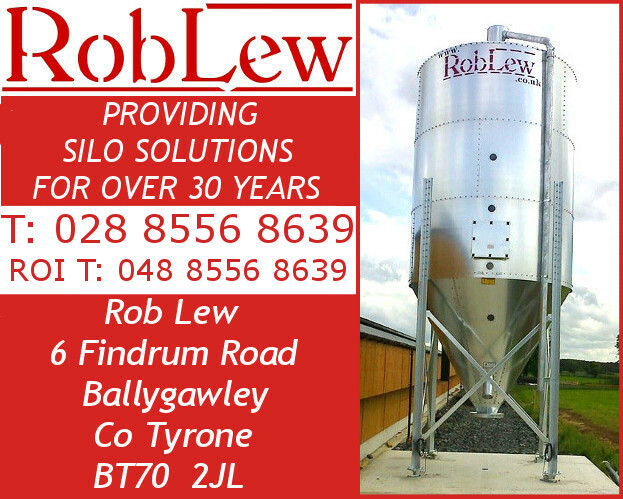 They started to see great results and started to mass produce. 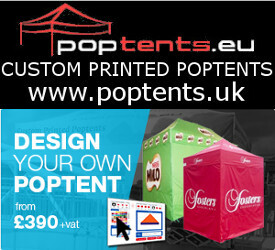 The business has gone from strength to strength with positive reviews throughout. 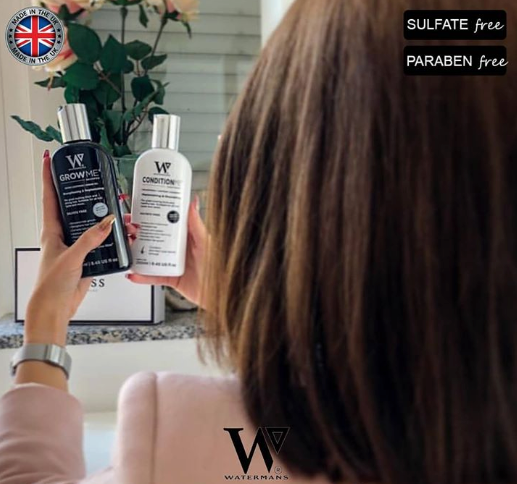 Watermans Luxury Hair Growth Shampoo and Conditioner are Made in the UK with the finest ancient and modern day ingredients such as Hydrolyzed Lupin Protein, Allantoin, Caffeine, Biotin, Argan Oil and Rosemary. 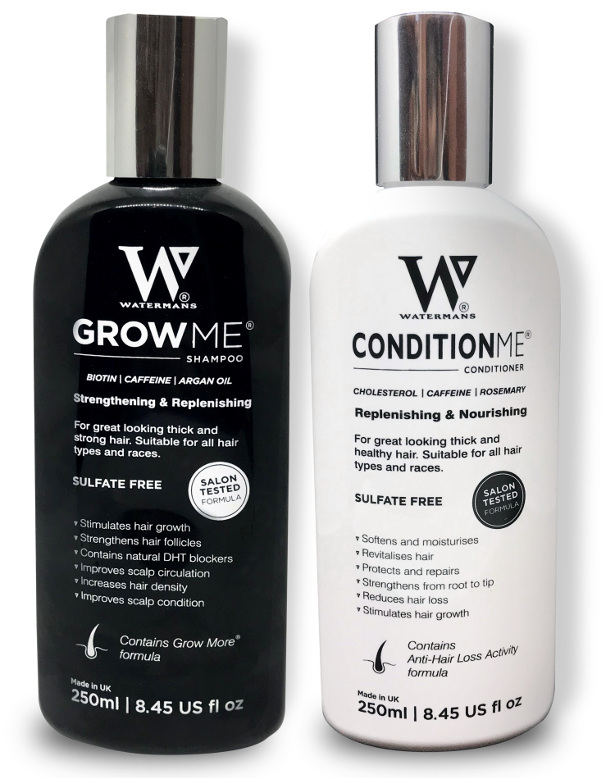 Grow Me Shampoo and Condition Me Conditioner both have natural DHT Blockers to help combat male and female pattern baldness. 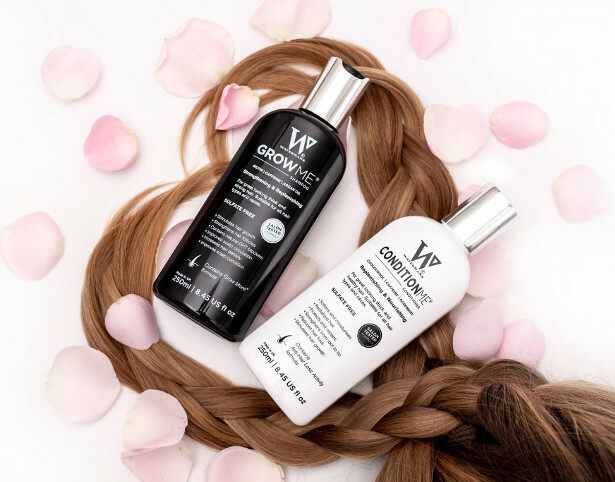 Watermans Luxury Hair Growth System combo pack includes Watermans Grow Me Shampoo and Watermans Condition Me Conditioner.